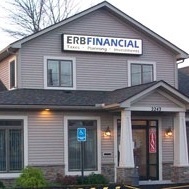 Phil Yargeau started preparing taxes with Erb Financial in 1985, and became licensed as a Registered Representative in 1993. He currently heads up Erb Financial’s Investment team and primarily focuses in this area. Despite other ‘retirements’ in the field, Phil still manages softball, basketball, and running in his spare time. Phil is a co-owner in the firm.